Karsun Solutions has won a potential five-year, $80M blanket purchase agreement to build a new technology platform for the Federal Emergency Management Agency to manage grant programs. The company said Wednesday it will use Agile approaches to help FEMA consolidate information technology systems and business processes that support grant funding operations into a single infrastructure. Sundar Vaidyanathan, co-founder and CEO of Karsun Solutions, said the multiyear Grants Management Modernization Program seeks to transform IT platforms for the agency to accommodate federal grant applications from first responders and the general public. FEMA awarded the BPA after a full and open competition. 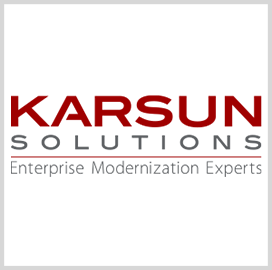 Karsun Solutions is headquartered in Herndon, Va., and currently supports multiple IT projects such as cloud computing, analytics and software development efforts.